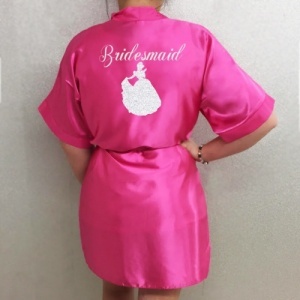 Our satin style gowns are very popular for bridal parties however can also be used for any occasion and dressing robe. 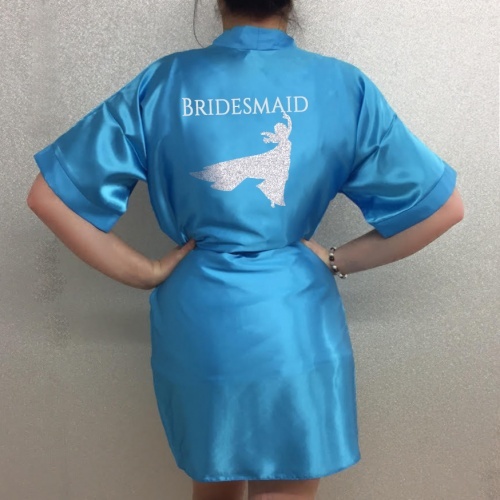 Our standard gowns are printed on the reverse, we are able to print the role in large flowing font with the date and name underneath. 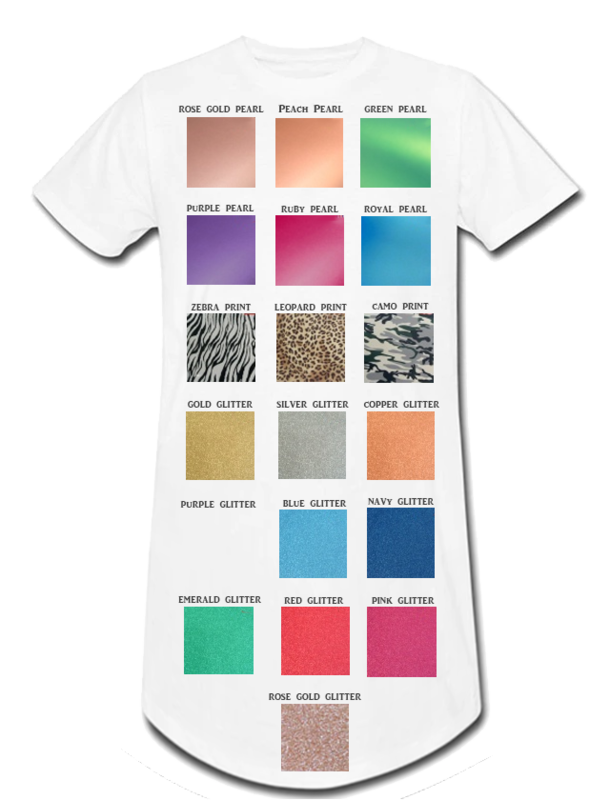 We also have the option to print onto the front of the gown also, if selecting this option please advise what text you would like on the front and reverse. 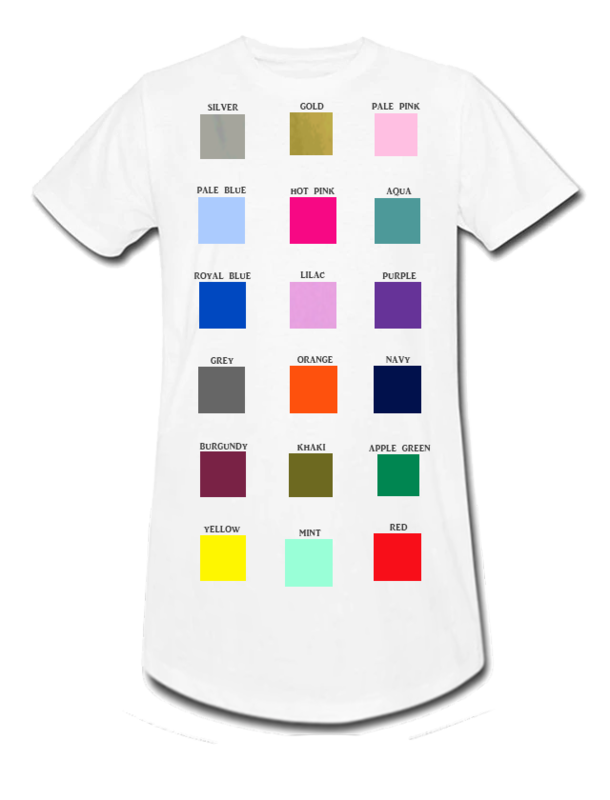 Gown colour may vary slightly from print colour. Please note: Our gowns are not suitable for machine washing, please hand wash only. 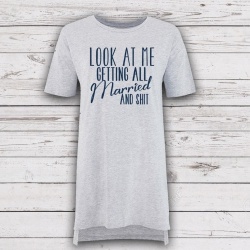 My bridesmaids will love these- sizing is generous but that’s good. Colours, design etc all fabulous. Sorry to see this review as we thought we resolved the issues to your satisfaction via email and issued a full refund on 2 gowns due to the inconvenience caused to you. We can't see in any emails stating that the gowns were of poor quality and the issue was mainly due to the fact that we has sent an extra Bridesmaid rather than a flower girl which was resolved promptly by issuing another and also a refund. We hope you have a wondeful wedding day. 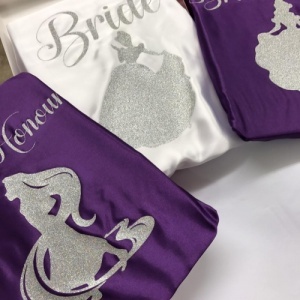 I purchased these gowns for my Disney themed wedding this winter and I am so happy I did. 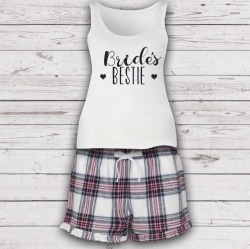 They are very good quality and I absolutely love the fast they tie in with my theme. They did take around 3 weeks to arrive but I was notified this by email so it was to be expected. I would highly recommend these robes.